Q. “I have money but no clue on how to trade the markets. Should I find a mentor to help me on the path to trading success or should I learn to trade alone with whatever resources are out there? A. When I started, I had the internet and books to learn how to trade. And yet it still took me a good seven years, before I became consistently profitable. If I could go back to find a trading mentor who’s made it and been through the learning curve of successful trading, I would do it in a heart-beat. 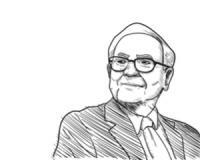 I’ll complete my answer with a quote from Warren Buffett who I believe gives the best advice. A. MF is an abbreviation for Minimum Fill Order which is commonly provided by market makers. This is the minimum number of shares that has to be available in the market, for your trade to be fully executed. If the minimum number of contracts or shares are not filled in one go, the entire trade order will be cancelled and you’ll have to place your trading levels again. As a rule of thumb, I would choose the GTC (Good Till Cancelled) order instead in the future. This way, your order will remain in the market until either the order is filled completely or cancelled by you at a later stage. A. On the JSE there are mainly two companies we can buy and profit from the rise namely, Sasol and SACOIL. In China, in Beijing, the second biggest oil producer is Petro China which you can watch for trade setups. In America the fifth biggest oil company in the world which will most likely move in price with Brent Crude is ExxonMobile. Make sure you overlay the chart with each company and with Brent Crude and then you’ll know which one has the highest correlation which you can trade and profit from. Or you can join myself or Trader X who are constantly looking for these kinds of trading profit opportunities. A. Ah yes, this is a tool or widget used on many trading market websites to tell you how many traders are currently buying (driving the price up) or selling (bringing down the price). Basically, this is a gauge (or sliding scale), with normally two colours. Green will tell you that people are feeling bullish (optimistic) with demand which has a higher chance of the price moving up. Or Red will tell you that people are feeling bearish (pessimistic) with supply which may lead to a drop in the market’s price. Take a look at the Trading Sentiment Indicator so you can see what I mean. In the above example, you can see that the sliding scale for GOLD (XAUUSD) is showing 57% green (Buyers) and 42% red (sellers) in the market. This means you can expect the price of gold to move higher as there is currently a higher demand than supply. This is clearly a useful gauge to see what the majority of traders are doing with their money. You may then combine your trading system and use the scale as a confirmation signal to either buy or sell a position.